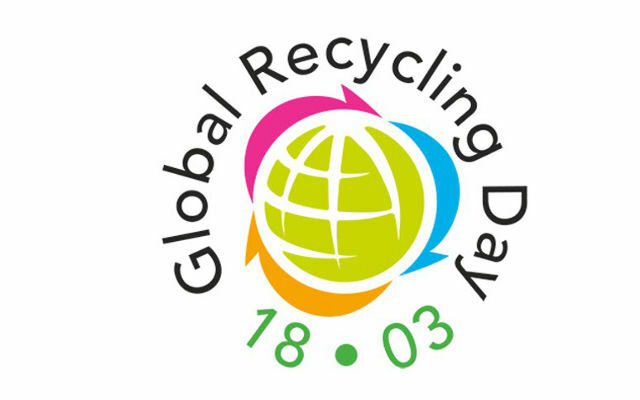 MB Participates in Global Recycling Day – March 18, 2018 - MB S.p.A.
18TH MARCH 2018. THE FIRST INTERNATIONAL DAY DEDICATED TO RECYCLING. Recycling is considered the seventh and most important resource in the world. It is a way to give new life to old materials, fulfilling an old need to meet another, newer need. Recycling is much more than an opportunity. Today, it is a necessity to maintain a healthy planet for people, for the environment, and for companies -- especially in the construction industry, as construction companies continue to build, tear down, and re-build. 18th March 2018 will be the day the whole world joins forces in a Global Recycling Day. It is a day to remind everyone to do their part in recycling. MB Crusher and its subsidiaries around the world support this initiative. MB is a company that is passionately committed to the recycling cause in every part of the world. With construction and demolition waste being generated as much as 534 million tons in the U.S.A. in 2014, according to the U.S. Environmental Protection Agency (EPA), many companies have started to make moves to decrease this amount of waste. Across the nation, fees are implemented for dumping waste and recycling laws are put into place. The same is done in Europe. With C&D waste making up to 30% of all waste produced in Europe, laws are proposed to have companies recycle their waste. MB’s passion to recycle waste material every day began as a solution to a problem within the construction industry. The problem MB tackled almost two decades ago when it was founded, dealt with the overwhelming accumulation of waste material from construction companies and the way they poorly managed their waste. It became an unsustainable cost to the environment and people. Faced with such an issue, MB proactively sought out a way to improve it. The company developed its first jaw crusher bucket to crush and recycle material, giving it new life as fill or base for new buildings. The MB Crusher bucket crushes debris and excavation materials in the same construction site where they were produced. Brick, concrete, tuff, and marble are a few tough materials its crusher buckets can manage. One crusher bucket can eliminate piles of waste materials collected over time and save time and fuel to transport the material to the landfill. Soon after the crusher bucket, MB expanded its product line to further challenge the waste management issue. Its product line now includes screening buckets, drum cutters, grapples, dust suppression kits, and iron separators – a full toolbox of green-friendly tools for any contractor looking to manage their waste properly. MB’s products are designed to reduce, shape, and manage various types of stones and abrasive material into different sizes, depending on what the project requires. Demolition waste can become a reusable resource on-site, as fill and base for foundations of new constructions, pipe excavations, road surfacing, or gardens as decorative elements. If it does not find new opportunities on the construction site, it can become a commercial resource for other companies to use by selling the processed material. For Global Recycling Day 2018 and every year after, MB Crusher will continue to advocate and support recycling worldwide. MB Crusher America, Inc. is a member of the Nevada Chapter Associated General Contractors of America, Inc. (AGC) and the U.S. Green Building Council (USGBC). Both these organizations continue to strive to make the world a better place through green initiatives. Join MB for Global Recycling Day on 18th March.